Dance your cares away reading all about Fraggles, Doozers, and Gorgs. From Puppet Inprov to Tinseltown, discuss the various Henson Alternative projects. 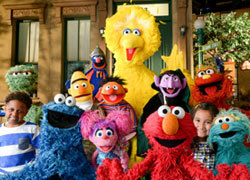 Discuss today’s Sesame Street for the current generation. From eBay to your collection, sell and trade merchandise. Whatever you need, we’ll try to help. 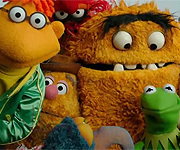 Get to know other fans in our Muppet Central family. Share your Muppet fan art and graphics. Share your Muppet fan-created stories and scripts. From fur to fabric, discuss puppet building, character design and all aspects of performance. If you can see this, then your browser doesn't understand an IFRAME. However, click here to see Muppet Central Radio in a new window.